Are you just starting out on the piano, or thinking of learning how to play? Check out these great tips to improve faster, gain confidence, and have more fun while developing your music skills. You never want practicing to become a chore, though it can start to feel that way sometimes. Learning an instrument takes persistence and dedication, and practice can become frustrating when things don’t come as easily as you’d like. If you’re feeling a little overwhelmed, do something else for a few hours, or even the day. Taking a break will help relieve your stress and frustration, and make you more refreshed and confident for the next practice session. The key to improving is regular practice. But if you’re feeling unmotivated because you don’t love the music you’re playing, it’s unlikely that you’ll stick with it. By adding a few of your favorite tunes to your routine, you’ll be more excited to practice the piano. Even if these tunes don’t challenge your skills that much, it’s always beneficial to get your fingers on the keys, so make it more fun for yourself! Though it can seem boring at first, learning the fundamentals of music theory will make playing the piano a lot more fun as you progress. This foundational knowledge will allow you to play more freely as your skills improve, and give you the ability to play a wider, more varied repertoire. Learn the basics of theory, including key signatures, note values, chords, rests, the grand staff, etc. Test yourself regularly—make sure you can identify the difference between a quarter note and an eighth note, a G and a D on the grand staff and piano, and a major chord and a minor chord. You can pick up a basic music theory book for self-guided learning, or take some private lessons for more hands-on education. Scales help engrain your knowledge of the 12 key signatures. When you play scales as part of your regular routine, you’ll learn which notes are sharp or flat within each key, and your hands will become more familiar with the piano at the same time. Take your time, and don’t worry too much about learning all the scales and playing them perfectly right away. To build your accuracy, it’s a good idea to start slowly and gradually increase your speed, as we talk about in the next tip. It’s important to start out at a slow tempo when learning scales and new pieces of music. Firstly, you want to learn the music the right way, with the correct notes and rhythms. If you rush through the music, skipping notes and missing rhythms, it’ll be harder to come back later and fix your engrained mistakes. Secondly, you want to acquire the muscle memory and technique required to play the piece well. If you learn something in a sloppy, rushed manner, you won’t gain the technical ability to play it properly, and you’ll probably develop bad habits that will be difficult to overcome later. With so many resources and tools available to help you along, it’s really a great time to learn how to play the piano. To start, there’s a seemingly endless amount of great learning content on YouTube—advanced musicians playing and breaking down tough musical pieces, educators offering tips for playing better, and fellow students discussing ways to stay motivated. A metronome is a time-honored tool for building timing skills, and electronic metronomes are a lot more versatile and fun to use than the old-school wind-up types. Portable digital recorders are great for self-evaluation, letting you capture your playing so that you can listen back and hear the areas you need to improve. 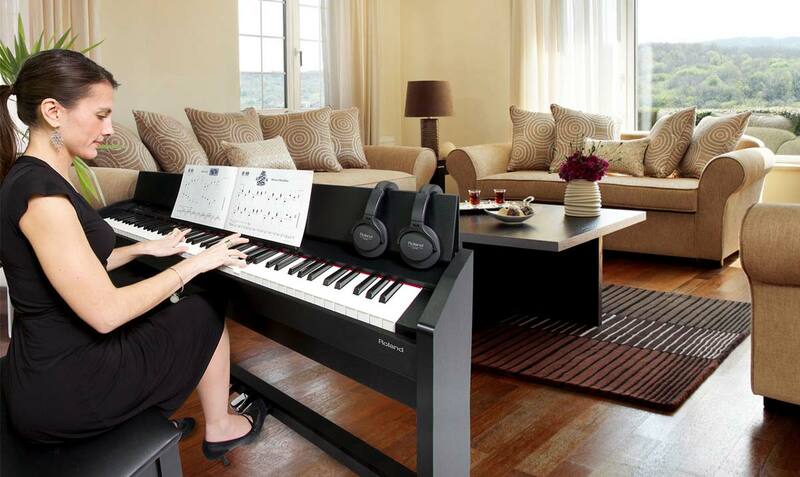 Modern digital pianos usually have these functions conveniently built into the instrument itself, and also give you the ability to use headphones for practice, letting you play anytime you want without disturbing family members and neighbors. 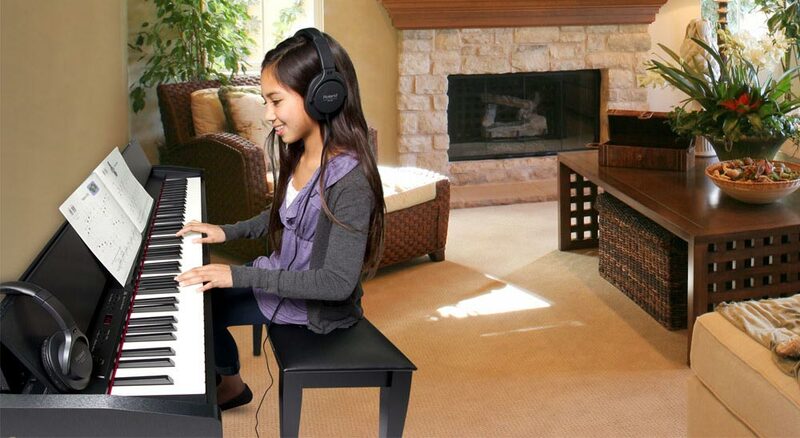 Many digital pianos also have additional cool features to make playing and learning more fun, such as intelligent accompaniments that follow your playing, computer connectivity via USB, and iPhone and iPad apps for using your favorite iOS devices with the piano. 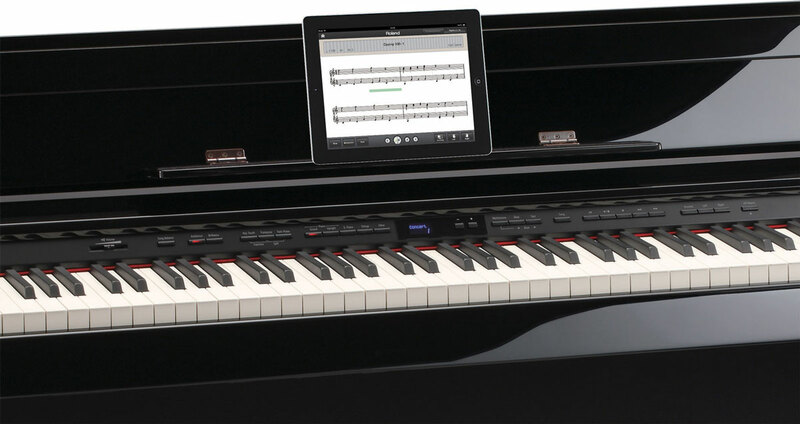 Roland’s free Piano Partner app for iPad displays digital sheet music on the iPad’s screen. It’s very important to learn a piece of music correctly; it establishes a new level of accomplishment in your development, and it honors the composer. But ultimately, music is about sharing emotion. As you play a piece, try not to focus too much on technical perfection—that is, playing every single note perfectly. Focus instead on feeling the music, conveying your emotion to the listeners through your musical tone. (And if there’s no one listening, just imagine that someone is.) Every musician interprets music differently, and putting in your personal emotion is what makes your music unique. When you feel the music as you play, your listeners will feel the music too.